Garage Door Off Tracks in Oakland? 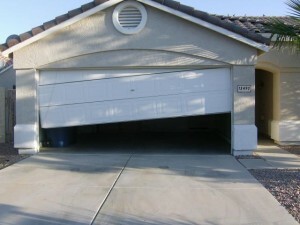 An off-track garage door may cause accidents and also loss of money apart from appearing awful. It is not advisable to operate this type of door with inexpert hands or even automatic garage door opener, as the door may get totally damaged or bring risks to life. Most common reason of garage door derailment is breaking of one or both of the garage door cables. These cables help to counterbalance the weight of the door and steer it during its journey up and down the tracks. Generally, garage door cables tear up only after many years of efficient operation and normal wear and tear. Garage doors can be off-track owing to some other factors aside from cable damage. Occasionally your garage door may become loose from its trails, due to an obstruction, or from something colliding with it-hard. If you set the car in reverse keeping door partially or totally closed, the vehicle may hit the door with huge force that can create ding on the door as well as derailing it. 1. Check the tracks for any physical marks of damage (i.e. bent, broken, and so forth.) and make sure that they are correctly aligned and strongly secured to the garage walls. 2. Readjust track and roller orientation, as needed. 3. Get rid of any debris from the track and put lubricating oil. 4. Final inspection of the garage door to make sure there is not lacking parts. 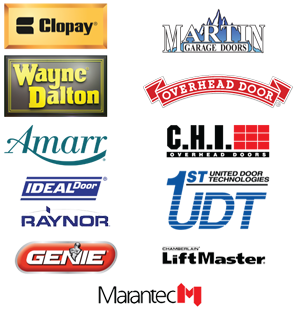 With Garage Door Guru Oakland, you can receive exceptional customer support, and all repairs can be completed at your absolute convenience. We are available, with fully-stocked trucks and best quality parts, 24-hours a day, and 7 days a week. We try our best to reply rapidly which is often within 24 hours! Someone accidentally pushed the safety eye so the garage did not close. I called them again, and asked what should I do. They offered to repair it for 29$, which is their basic service call charge. My garage door was working again within the hour. Simple job, that if you determine what the main problem is, can be easily repaired. This garage door service really impressed me. Our service expert, Court, was great. He was very knowledgeable and courteous, giving us a heads up when he was on his way to our home. The cost of the repairs was very reasonable, and his efficiency was superb. Unfortunately, the kind of customer service he provided is very rare is very rare in the industry. 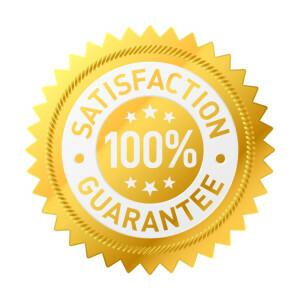 Court did an exceptional job representing his garage door service and I would recommend this service over and over again.